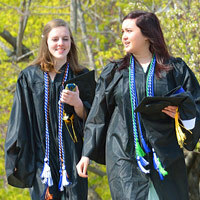 First as a student and now as a graduate, you make Colby-Sawyer a better place. You are an essential contributor to the rich traditions and dynamic legacy of the college. You appreciate the distinctive academic and pre-professional opportunities that Colby-Sawyer gave to you, and you support future students in their pursuit of a Colby-Sawyer education. You are an ambassador who has shown the world that Colby-Sawyer produces successful, well-rounded, well-educated citizens who are positive contributors to society. Once a Charger, always a Charger ... that's who you are, and who you will always be. 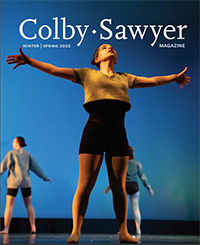 Published twice a year, Colby-Sawyer includes campus and alumni news and class notes. Have an immediate impact on students by ensuring that they have the opportunities and resources to explore what is most meaningful to them.